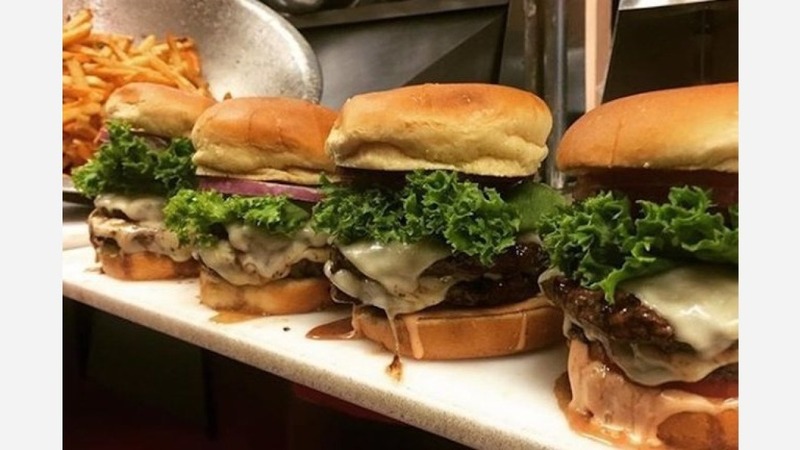 If hot dogs, burgers and shakes are what you're after, look no further than Fritzy's in Lincoln Park. Formerly Big Bob and Fritzy's, the casual eatery at 723 W. Armitage Ave. has reopened with new owners and a shorter name. "We plan to continue the tradition of taking our fast food to another level; never pre-cooked, always fresh and prepared to your liking," the business says on its website. Craving a burger? Build your own by choosing a protein (beef, turkey, chicken or veggie patty), cheese, veggies, extras (like bacon, avocado or egg) and sauce from a list that includes honey Sriracha, Buffalo and blue cheese. Hot dogs -- including the Char Dog, Chili Cheddar Char Dog and the Footlong Char Dog -- are served Chicago style with fries. Sandwiches like beer-battered cod, Philly cheesesteak and boneless rib are also available. Finish off your meal with a shake in flavors like chocolate, banana and Reeses Oreo. Check out the full menu here. Zack R., who reviewed the eatery on July 6, wrote, "Nothing like a fresh start to go from good to great. The beef is now some of the best you'll get. Service, as always, is top notch!" Intrigued? Stop in to try it for yourself. Fritzy's is open from 10 a.m.-9 p.m. on weekdays, 11 a.m.-8 p.m. on Saturday and 11 a.m.-4 p.m. on Sunday.